Multiple-award-winning writer and illustrator of more than 30 books for children, including Crazy Hair Day, which has been adapted into an animated DVD by Scholastic Books; Cornelius P. Mud, Are You Ready for Baby? ; and Good Egg. 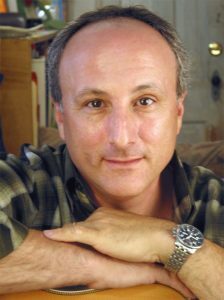 Mr. Saltzberg also has recorded four albums for children and his music has been used on PBS’s Arthur. To view the book trailer for Barney’s book, Arlo Needs Glasses, click here. There is something so incredibly beautiful about picture books. It’s a marriage of text and art where words are illuminated by the artwork. To create a seamless picture book might appear to be simple, but I have found that it’s much more involved than I ever imagined. After writing and illustrating close to 30 books, I am still learning. If you want to write and illustrate, you have to know the field, so we read and study some truly great picture books. In my courses there are weekly exercises to spark your own stories as well as in-class critiques and some wonderful guest speakers for information and inspiration.